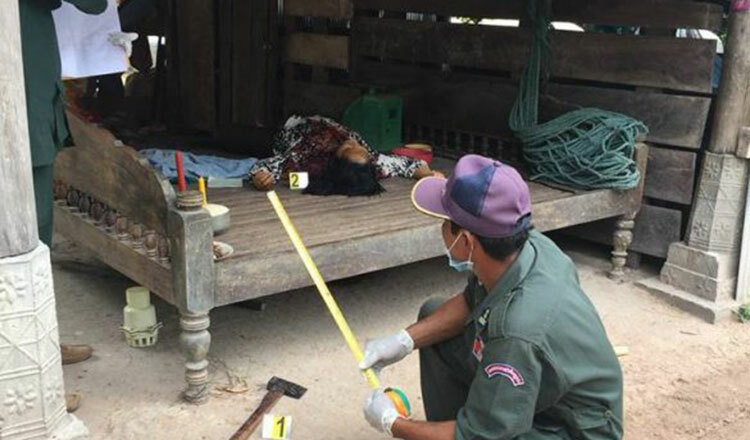 A 64-year-old farmer hacked his wife to death before hanging himself from an orange tree behind his house at Chrey Kroem Village in Pursat Province’s Phnom Kravanh district just after midnight on Sunday. 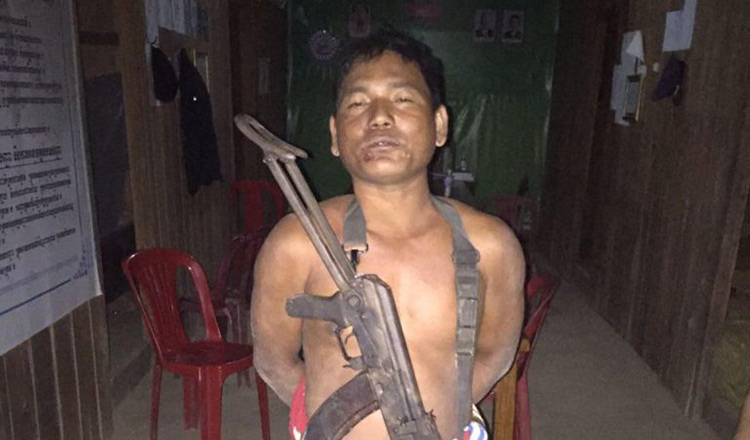 The farmer, identified as Pum Muth, was reportedly upset over his wife’s alleged affair with a local resident. His wife, identified as Sem Phath, 46, also a farmer, had repeatedly denied her husband’s accusation which led to a heated argument. 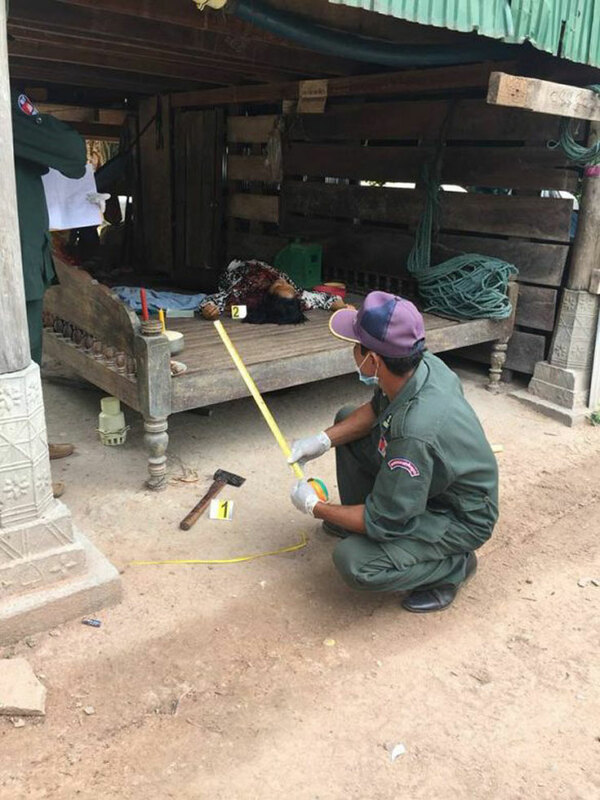 Phnom Kravanh district police chief of staff, Captain Yon Seng, said in a fit of anger, Mr Muth grabbed an axe and hacked his wife at least ten times on her head and neck at about 1.30am on Sunday. “She died of severe multiple injuries at the scene,” Cap Seng said, adding that Mr Muth then grabbed a rope used for tying animals and climbed up an orange tree from where he hanged himself. Cap Seng said the childless couple were involved in a heated quarrel earlier in the day, often leading to Mr Muth beating his wife to make her confess that she was having an illicit affair with younger man in village. “When she denied and insisted he was jealous, he went into a fit of rage and demanded for a divorce,” he said. Neighbors found the bodies of the couple about 6.30am on the same day and alerted the local police. 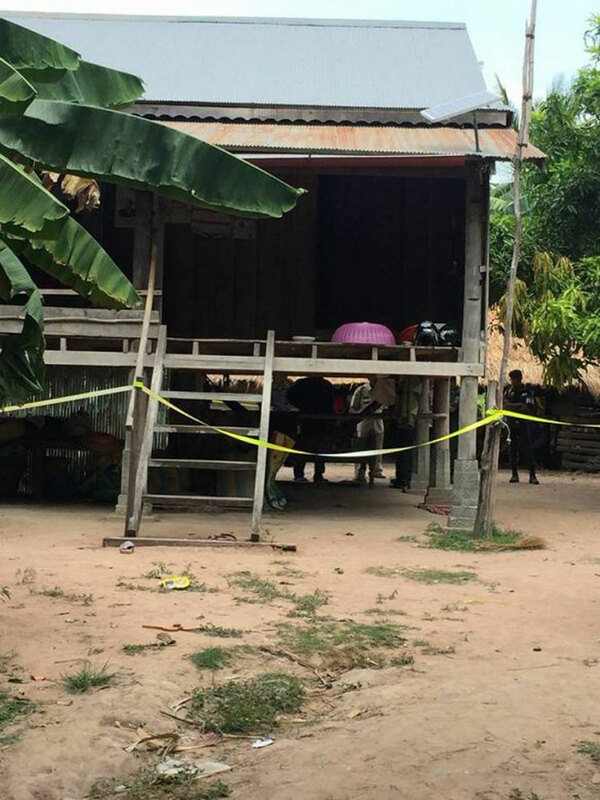 According to the chief of Phnom Kravanh district police, Lieutenant Colonel Tan Kearith, the case has been classified as murder-suicide, based on initial investigations. Col Kearith said the bodies of the couple have been handed over to relatives after autopsy.